Learning Undefeated is excited to be partnering with Verizon Innovative Learning to offer a new mobile learning experience. 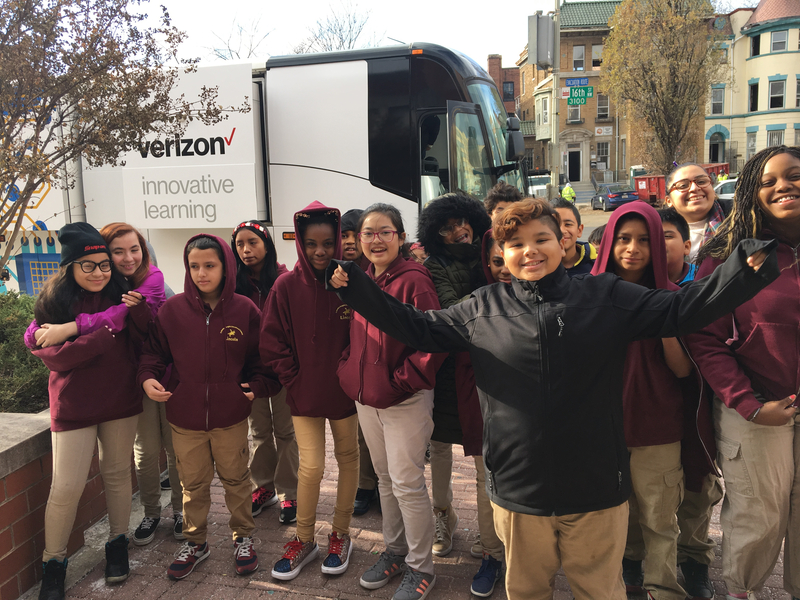 The Verizon Innovative Learning explorer lab is an example of the Verizon Foundation’s commitment to giving under-resourced students the tech education they deserve. It is an entirely new way for middle school students to discover concepts of engineering design. The explorer lab is a shared immersive learning experience that combines movie-quality video, special effects, and hands-on educational gaming to create a learning environment that gets kids excited about science, technology, engineering and math (STEM) – right in the school parking lot. The Verizon Innovative Learning explorer lab is a unique program designed for students to experience being an engineer, combining hands-on classroom activities with a one-of-a-kind immersive experience aboard the explorer lab. The aim of the program is to introduce students to the Engineering Design Process as well as diverse careers in engineering. The explorer lab curriculum has been developed to meet the Texas Essential Knowledge and Skills (TEKS) for engineering and the classes are designed to fit into a typical 45-minute class period. The explorer lab program consists of three parts: a pre-lab activity in the classroom, the explorer lab visit, and a post-lab activity. Engineering and design: Students experience the engineering and design process that factors in tradeoffs and consideration for environmental factors and constraints. STEM careers: Students experience relevant and in-context STEM missions that ignite curiosity and interest in STEM careers. Space and scientific practices: Students experience scientific practices (such as analyzing evidence, planning investigations, and collaborating) through the context of space-related content.